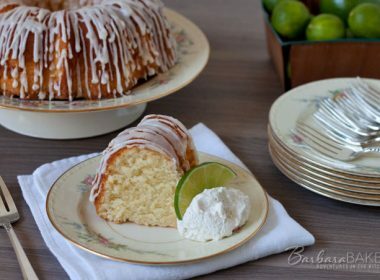 Today I’m featuring some fantastic recipes from some wonderful food blogs that may or may not be new to you, but blogs that I know you’ll enjoy. 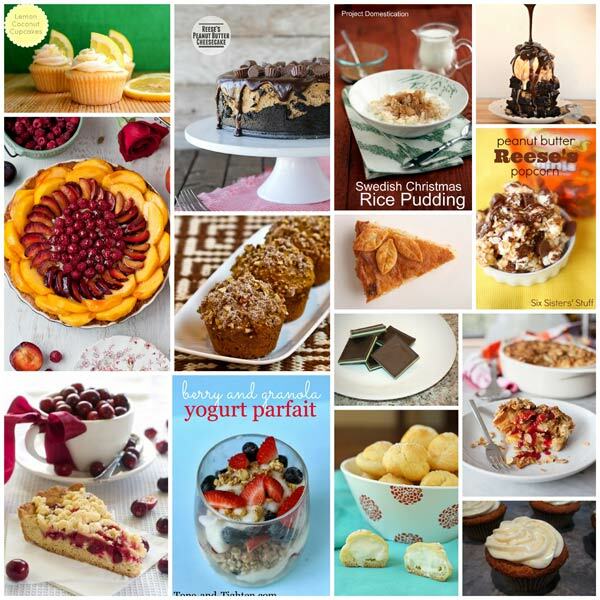 It was hard to pick just one favorite from each of the blogs, but since I have a huge sweet tooth, I did spend a lot of time on their dessert pages. 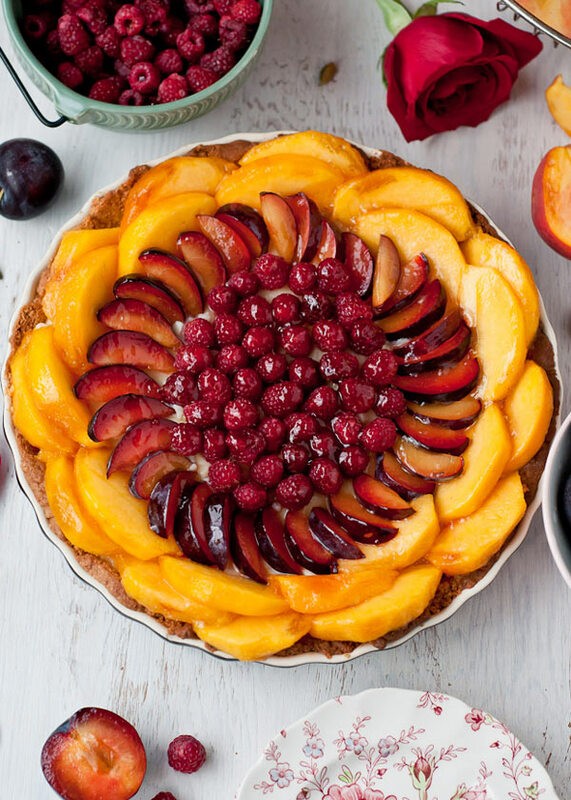 Peach, Plum, Raspberry Cardamom Cream Tart with Gluten-Free Almond Crust from Cafe Johnsonia – Lindsey’s tart is almost too pretty to eat. 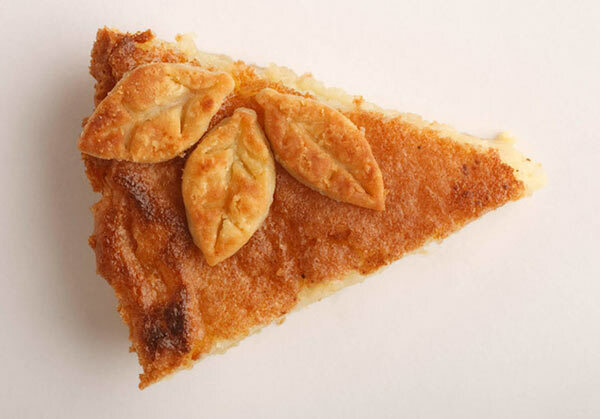 If you’re looking for great gluten-free recipes, Cafe Johnsonia is the place to start. Swedish Christmas Rice Pudding from Project Domestication – I’m a big fan of rice pudding and Becky’s Swedish version with cinnamon, brown sugar and evaporated milk sounds like the perfect comfort food. 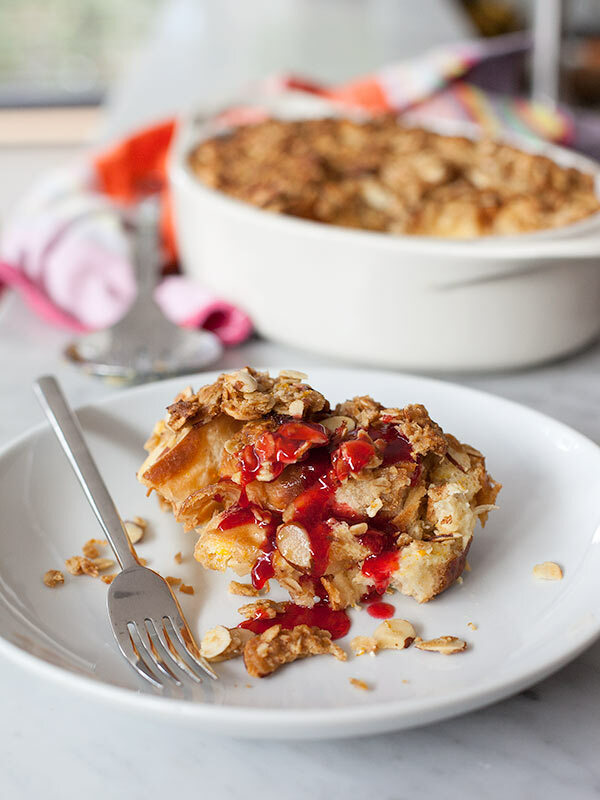 Baked Orange French Toast with Almond Crumble from FoodieCrush – I love starting the day with something sweet and Heidi’s easy to make, baked French toast would be a wonderful start to the day. Slow Cooker Cranberry Orange Cake from 365 Days of Slow Cooking – can you believe this gorgeous cake was baked in the slow cooker? Try it now while you can still pick up fresh cranberries. 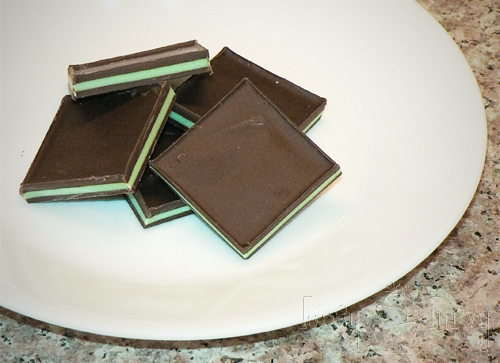 Homemade Andes Mints from I’m Topsy Turvy – Ashlee has great step by step photos and tips that takes the guess work out of making these luscious mints at home. I’m super impressed with her straight cut squares. 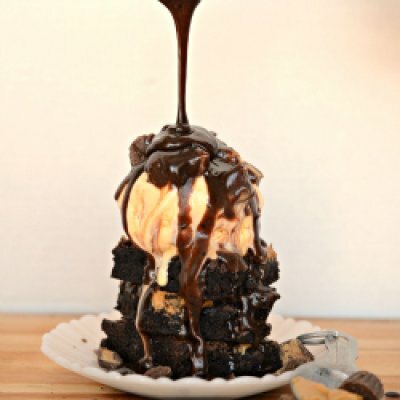 The Ultimate Chocolate Peanut Butter Brownie Sundaes from Bless This Mess – I picked this one for my husband who always wants his brownies topped with ice cream and drizzled with hot fudge. The peanut butter twist just puts it over the top delicious. 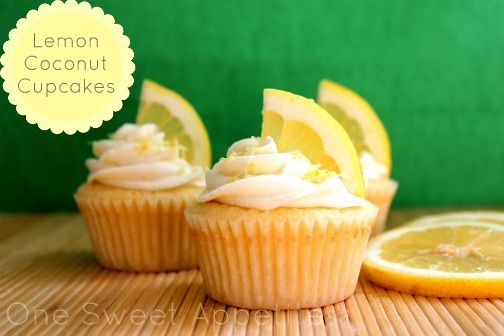 Lemon Coconut Cupcakes from One Sweet Appetite – lemon desserts are some of my favorites. Jessica’s cupcakes would bring a little sunshine into your life on those cold winter nights. 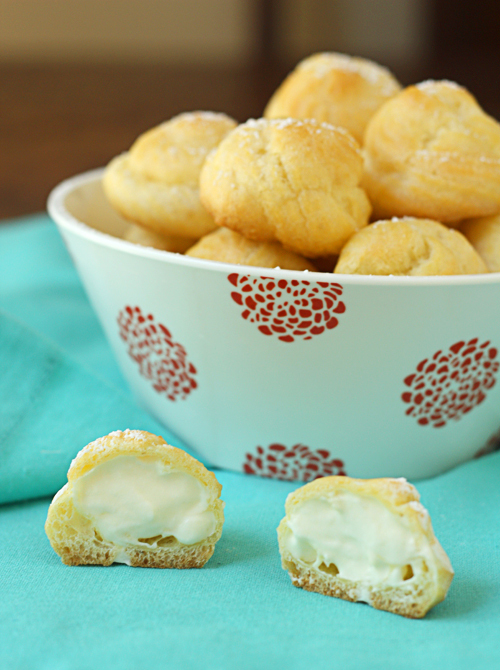 Cream Puffs filled with Lemon Mascarpone Cream from La Fuji Mama – Rachel combines two of my favorites cream puffs and lemon. 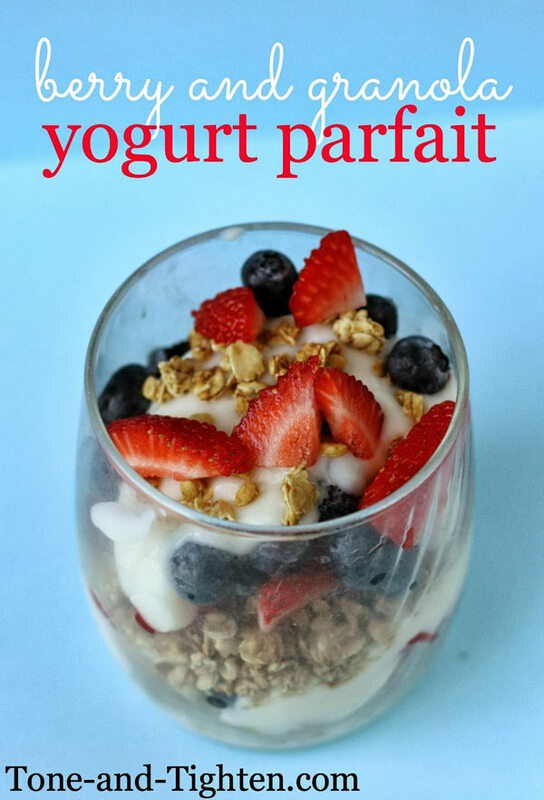 Berry and Granola Yogurt Parfait from Tone & Tighten – another sweet breakfast that would be perfect for a dessert, but this one is also a healthy option if you’re trying to eat better in the new year. 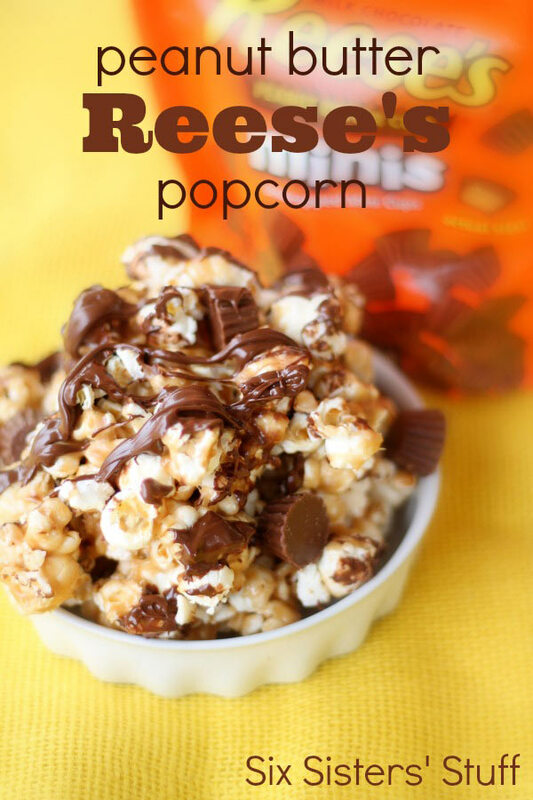 Peanut Butter Reese’s Popcorn from Six Sister’s Stuff – Kristen is a peanut butter lover. 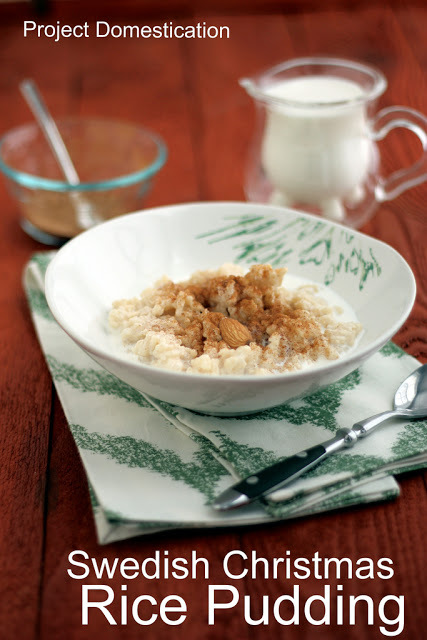 This recipe would be great at a New Year’s party or for snacking on while watching a bowl game. Carrot Cake Cupcakes from Phemomenon – Holly describes these cupcakes as heavenly. 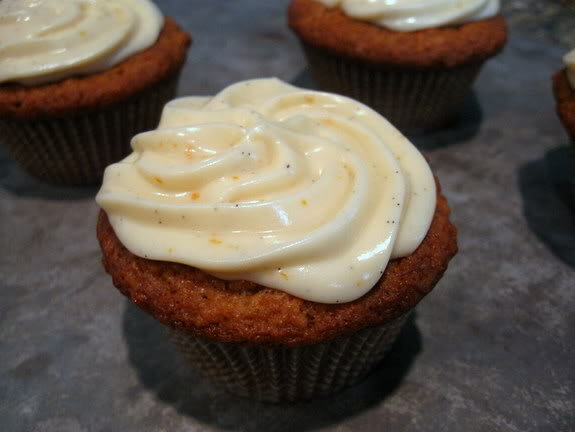 I especially love the cream cheese frosting with flecks of orange zest and vanilla bean paste. 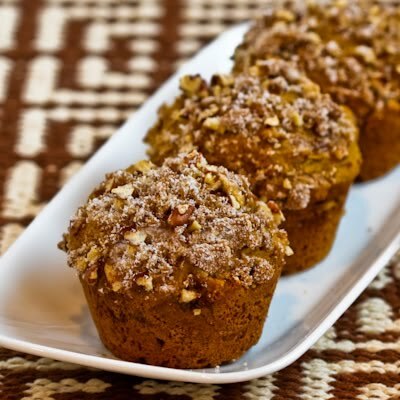 Low-Sugar and Whole Wheat Pumpkin Muffins with Pecans from Kalyn Kitchen – Kalyn’s site is filled with healthy, good for you recipes. 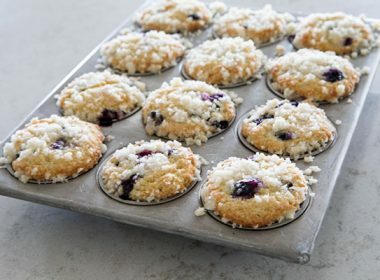 These muffins would be a great way to start the day, or I might be tempted to stir in some chocolate chips and have them for dessert. 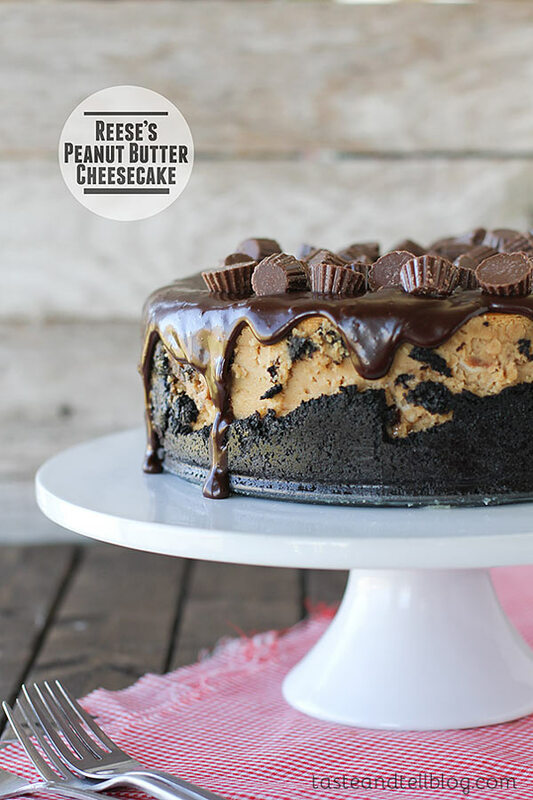 Reese’s Peanut Butter Cheesecake from Taste & Tell – this was one of Deborah’s most popular recipes this year. It looks irresistible rich and decadently delicious. They all look delicious, I don’t know what to bake first. All these sound amazing! 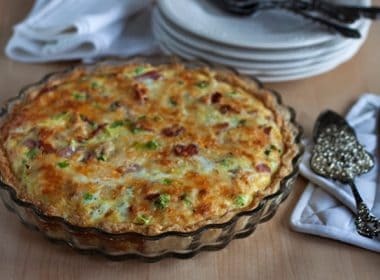 We will have to try some of these recipes, and hopefully this year! Happy New Year Barbara! 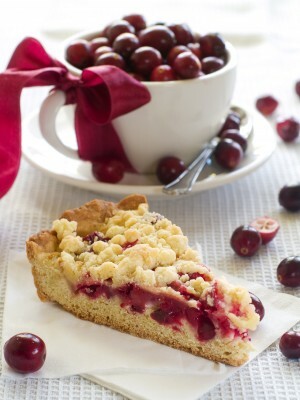 Thanks so much for including my cranberry orange cake! How sweet of you to give props to other food bloggers. A few of these are very new to me. You do have good taste (pun intended). Happy New Year. I look forward to another year of your delectable creations. What a great list!! 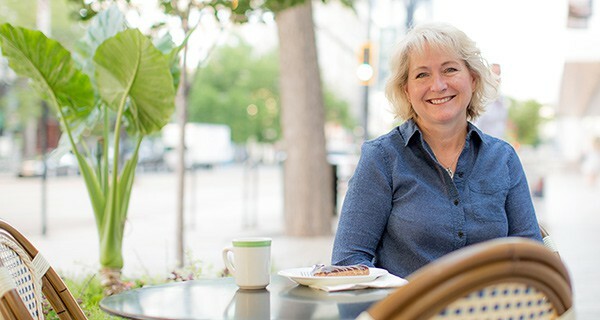 And thanks so much for including my cheesecake – I have been craving another slice! Luckily, I discovered your blog in 2013. I have enjoyed your posts and what a sweet and thoughtful list you have given here. Thanks so much for feature my mints! They have been popular enough over the years I think it’s time to update the pictures and watermark!!! And to get the sharp squares I use a t-square tool!!! It’s not too late to make that Christmas Rice Pudding is it?! Looks SO good :)Great round up! What a great list! It looks like I’ll have to spend some serious time in the kitchen trying out some of these great recipes! Thanks for featuring my cupcakes. 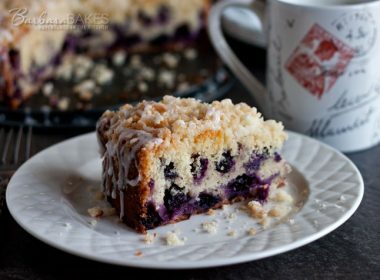 It’s a great recipe that I’m sure everyone will love! Oh shoot…why did I look at this before I have eaten breakfast? Now all I want to eat is dessert!! 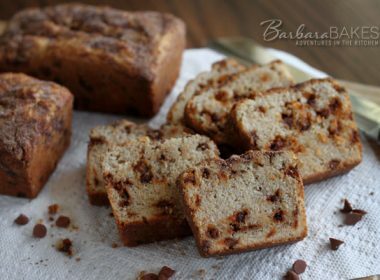 😉 I’ve added a bunch of these to my “must make” list…yum! 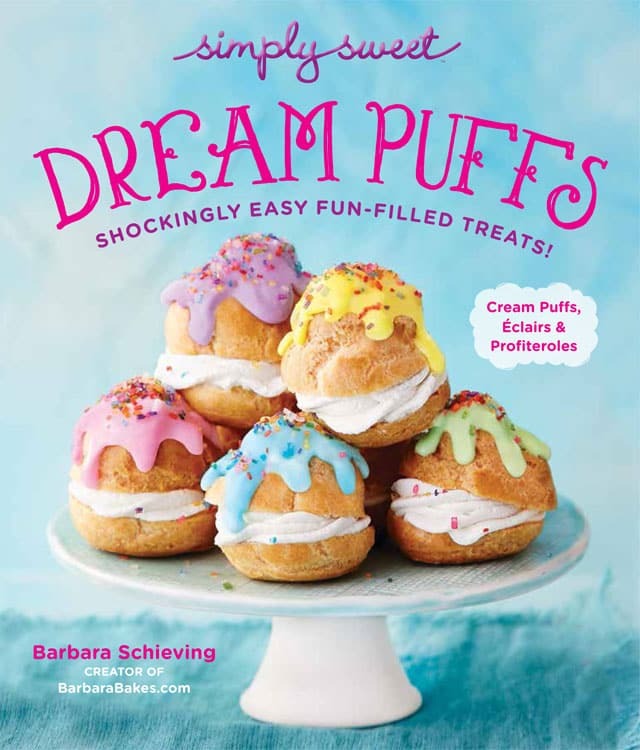 That cream puff recipe of mine is an all-time favorite…thanks for including it! What a delicious overload! I love every one of them. Happy New Year, Barbara and may 2014 be the best year ever. What a sweet collection. Oh dear, that was a terrible pun wasn’t it? Seriously I am having fun discovering some new blogs and seeing what everyone picked. And thanks so much for featuring my low sugar and whole wheat pumpkin muffins!